Each winner will receive their artwork framed with a copy of the 2017-18 Island Book cover, in addition to having his or her entry appear in the Island Book, a production of the Martha’s Vineyard Chamber of Commerce. 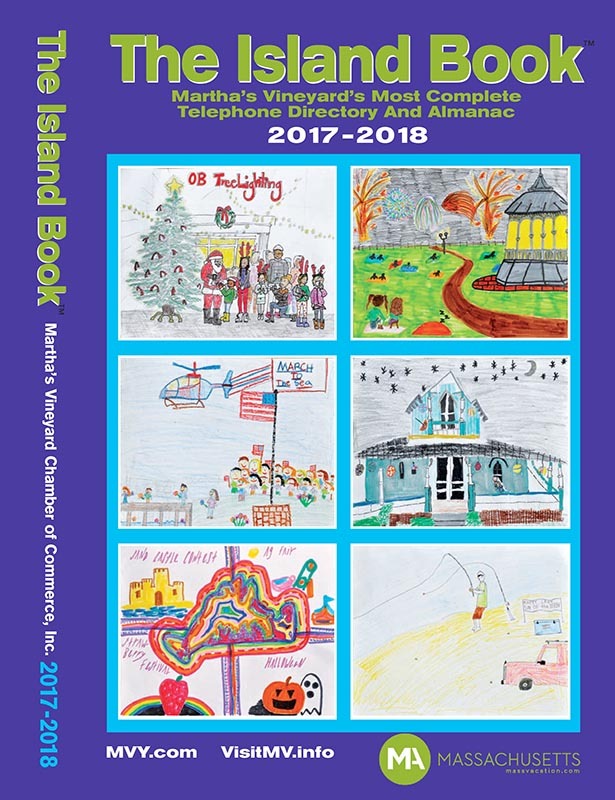 This year’s Island Books are available at the Chamber of Commerce, 24 Beach Street, Vineyard Haven, and at more than 25 locations around the Island, including all banks. Anyone needing large amounts of Island Books is encouraged to get them at the chamber office.